This post is a open draft! It was originally started on April 23, 2011. Almost two years later it makes it's public debut. It might be updated at any time... But was last updated on December 18, 2013 at 8:41 pm. This post is a open draft! It might be updated at any time… But was last updated on December 18, 2013 at 8:41 pm. Data organization for current use in analysis and evaluation of what else to document.It could be argued that a well planned corpus would eliminate, or reduce the need for flexibility to decide what else there is to document. This line of thought does have its merits. But flexibility is needed by those people who do not try to implement detailed plans. Notice that this is not the difference between the archive form of the data and the presentational form of the data. This is the difference between the working form of the data and the archival form of the dataIn the project I worked on there was a lot of thinking along the lines: “what do I want to present on this language?”, so that is what I need to archive, lets collect that..
Of these application A Better Finder Rename was determined to be the best price for the options it provided. This was fallowed by Name Mangler and lastly the one with the fewest features was Batch File Rename. Not tested were Renamer (OS X) or Bulk Rename Utility. (Bulk Rename Utility is Windows Only.) A Better Finder Rename is both Windows and OS X.. This is partially because the data (even the files containing the data) was not always organized in a helpful way“Helpful” in this context should be explored a bit further than just acknowledged on the surface level. There were several schools of thoughts among the participants, and there were different kinds of objectives for each of the participants. This was reflected in the way we worked and what we worked on. Our needs (so things can be “helpful”) also depended on if our approaches were event oriented or product oriented. (I am doing a paper on place names so I need to collect place names… as an example of product oriented. This is contrasted with “I am recording a story and a place name comes up”… as an example of event oriented.) Organizing all the recordings containing place names would be one way to organize the files, another way to organize the files would be to mark each event which contains a place name but to organize all the files related to one recording event together. i.e. The audio file, the video file, the transcription, the translation, the geo coordinates relevant to the recording, etc. The next logical question, if the organization by event option is selected, is to choose how to organize the events.. Another reason was that files could not be sorted and arranged based on meta-data values associates with the files. Sever with folder and files. 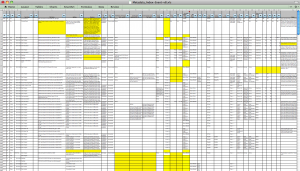 Excel spreadsheet with meta-data values which would be ingested by an archive. With a workflow influenced by a language documentation view of a project, it follows that files need to be organized so that they can be submitted to the archive. However, this forces the organizers of the files into a paradigm of viewing their files (this paradigm might be provided by the archive or it might be system of organization created just to survive the onslaught of data during the project). However, the data and meta-data are not without relationships; relationships to each other, to the participants, to the local geography, to other languages, to project plans and objectives, to linguistic theory, to community interests (just to name a few). A preformed paradigm of organization will not respect all of these relationships. Each of these relationships show the research team something useful, which during analysis can affect the documentation project. The interface to the data needs to be able to help the project participants view and connect with the data in a relevant, intuitive, informative, collaborative, progressive, time efficient and relational ways. In a way this is a data visualization issue.There are many kinds of data visualization techniques and tools. Data visualizations are really important to the way we think and understand things in a time-space continuum (Item “a” was in location “x” at time “y”, while item “b” was in location “w” at time “y”). 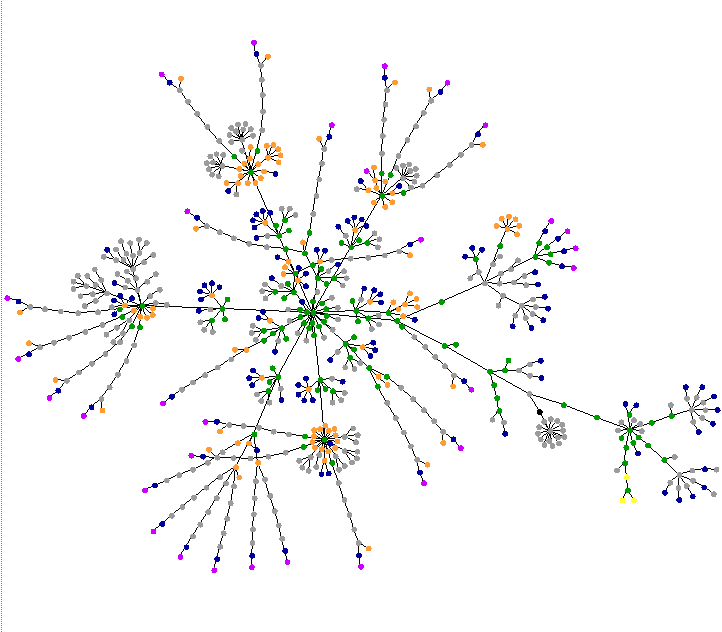 Visualizations are also really good for communicating things which are removed from our local cognitive environment (like the massive interrelatedness of the internet) and abstract concepts like workflows and conceptual categories (put the data in this bucket or that bucket). They are also good at demonstrating the relationship between two (or more) concepts (These are sometimes called mash-ups.) The following is a map of the earthquake and aftershocks in Japan following the big earthquake in 2011. This shows the relationship between locations and magnitude of the earthquakes over time. 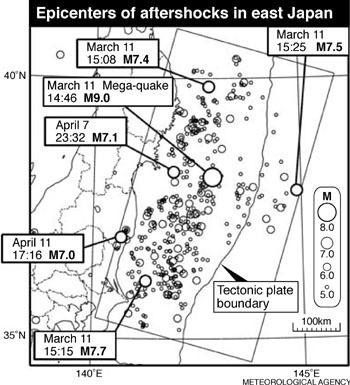 Visualization of the strength and location of the 2011 earthquake and aftershocks in Japan. This is a visualization of the xhtml tags in Becky’s Blog. Available through http://www.aharef.info/static/htmlgraph/. This is a visualization of the various xhtml tags on the front page of my wife’s blog. Another visualization tool is Weeplaces. FourSquare Visualization by WeePlaces.com from Eric Wu on Vimeo. Displaying the complexities of the relationships in the meta-data and the data is something that the file system of modern Operating Systems (OS X, Windows, Linux) can not deliver. Something else that the file system can not deliver is an organization by “custom” meta-data attributes. Yet one more limitation of the files system is that it does not allow for the re-use of metadata (implied meta-data based on associations of files). I can not drop a file in a folder and then know that the speaker on that file was “xyz” because the other two files in the folder both had the speaker “xyz”. What does it mean to have a project organized by language description. Alternatively to organizing a project from a Language Documentation perspective one could organize the project topically according to descriptive interest or explorative process. That is, one might choose a topic of interest and organize the files and name them according to how they relate to the particular topic of interest. i.e. grammar, nominals, noun-marking, di-transitives. Not that the points of topical interest are any less valuable to the language documentation project but that the organizational taxonomies are different. Due to the limitations of today’s (2011) OSes only one hierarchical structure can be used at a time. 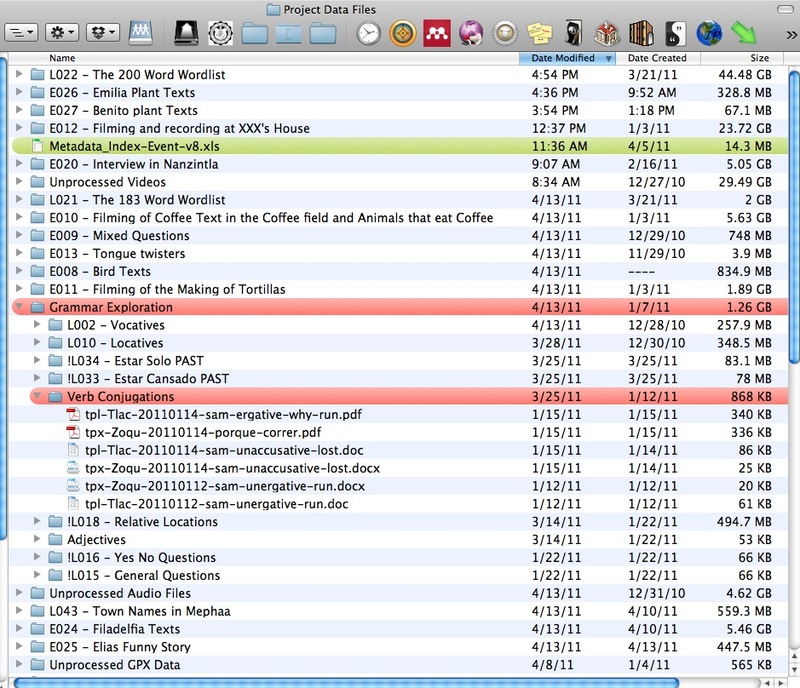 It is unfortunate that when looking at larger projects and packaging content for archives, that these methods of arranging data (with their organizational structures, and necessarily so) are not organized by the way that many researchers would pre-fer to organize their data so that it is useful to them while they work. I have also recently been introduced to Drupal. Although Drupal is designed to be a web-based CMS. It is entirely possible to run it on a laptop for personal use. (Much like what is recommended for a Developers environment.) As of this writing the most current release of Drupal is at 7.x, however more modules which might prove useful to making Drupal work for this task are currently available for Drupal 6.x than for version 7.x so this experiment will start out with version 6.x. Initially the target set of users is the language researchers on a language documentation project. It is assumed that investigators in a Language Documentation Project will be M.A. Students or above, and have proficient command of computing technologies as a computer user (obviously there will be some variation in proficiency). However it is possible that with a solution which enables a distributed workforce to collaborate on a single project that anyone with a computer and a browser will be able to use the tool. This means that potentially it could also be language consultants as well. However, the capacity and the functions to which the various participants would be involved in using the tool could conceivably change or at least vary. There are many cool things which can be done with Drupal. In order to prevent project creep, it is important to clearly identify the needs of the project. Several important goals were considered before even settling on Drupal as a CMS or base solution. The ability to implement a solution across Windows, OS X and Linux platforms. The ability to use the same solution on a personal computer and on a server on a local network, or a Wide Area Network (web hosted). The solution, if browser based had to be IE, FF, Safari compliant (CSS2 minimally, even CSS3). The ability to use customizable, off the shelf, parts to create a complete solution. The ability to keep the final product at an acceptable cost to end users. The ability to leverage good UI design on the final product to enable end users to quickly adapt to concepts presented by the work and to intuitively know how to use the tool. The install process of the final product needed to be simple enough to allow for wide spread adaption with a low impact on needed support for customizations. The ability to share information among project users (researchers and contributors, language consultants) in a collaborative environment. The ability to share information with the greater linguistic community via established norms. In addition to these requirements there are certain technologies which are prevalent to the field of Language Documentation. These range in scope from file types, API’s, data sets to research frameworks. Also to be taken into account are other technological tools used in a language documentation project. i.e. FLEx, ELAN, Toolbox, Tools from the Max Plank Institute. Methodologies from both Language Documentation and Language Description (Descriptive Linguistics) need to be accounted for, as projects, depending on their purpose, staffing and desired impacts are likely to use methodologies from both sub-fields of Linguistics. These research requirements also needed to be accounted for in a systematic way. The method used to account for these was to walk through a Language Documentation project to experience first hand the work-place data handling requirements. there are functional requirements .i.e. UX requirements like drag-and-drop file additions. there are design requirement i.e. UI requirements like clear lines between different sections of the CMS so that a user can know where they are and navigate to where they need to go, or when there is a difference in being logged in as a user/researcher and as a site god or admin. What the user wants to get done. How the user gets it done. 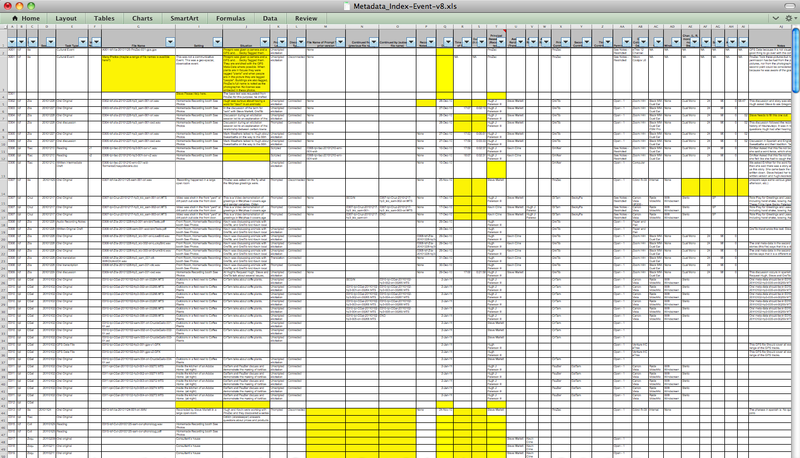 How it is organized for the user to get it done. Ultimately what we are looking for is a platform to facilitate the collaboration around a language documentation (research) project.As I was beginning to write this and look into drupal as solution I ran across an experiment in trying to get Drupal to be a virtual research environment. A large part of this collaboration revolves around appropriate organization, perhaps the rest of it revolves around access to actionable information; having the right information collected together to and processable so that the right decisions can be made. So, in pursuing what kind of platform can provide this functionality and what that platform might look like, let us look at the first element in design as presented above: What the user wants to get done. These “tasks” are presented by the numeral points below. It has been said that he that fails to plan, plans to fail. However, I wonder, if one plans to fail and really does it, does he succeed? Reference Gary Simon’s paper (which one? – the one about plaining a documentation corpus?) and the things to consider. This module needs to be able to help users define deliverables (goals), tools used, and locations, costs, etc. It needs to be able to help convey these goals to the team members and the language consultants. As files are created and held in this content management solution it needs to be able to relate files to multiple deliverables. Cross comparison of modules supporting task management. Another option is to use Open Atrium. The plan is usually enhanced and refined with background research or Library work. Researchers needed a place to share citations, and the content that the citations reference (usually PDFs). They needed to be able to share the citation data so that various authors on documents related to the project had a single source of citations they were referencing. They also needed a way to talk to each other about how a resource is used, relevant to the project or otherwise of interest. Action Item: GET A MODULE WHICH HOLDS THE RESEARCH FILES COLLECTED AND ‘HOLDS, DISPLAYS AND SORTS’ BY THE COLLECTED METADATA’S RESOURCES I.E. THE CITATION DATA. There is one draw back which needs to be addressed in this module, that is there is no way to add another data type to the drupal data base. These items need to be pulled into a que where the research team can decide if they are relevant or not. If they are relevant then they become part of the research body of literature which the team is collecting. If they are not relevant than they are removed from the cue and not shown again. Additionally, as items from this project might get introduced to the aggregation (especially via OLAC) it would be important to never show items which are sourced from this project. Pull in known resources from OLAC on a given language: http://drupal.org/project/oai_pmh Have it recheck every 10 days or as the user sets. I am not sure if there is even an API for querying items aggregated by OLAC. To assist with this we might need to look at using YQL, Yahoo Query Language and a drupal module http://drupal.org/project/yql_views_query. 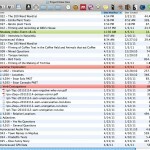 It would be good to look into ingesting content from RSS Feeds from OLAC. At the heart of a collaborative research endeavor is a file management system which makes the right information clump together. Even as we create the plan and revise the plan with relevant background research we find that there is a need to organize the resources we have collected and then to be able to use the resources and collaborate concerning their implication on the research project. The right clumping of collected resources and creations enhances analysis, communication and ultimately helps to achieve the goals set out in the plan. The Data Types and File Types for every project will depend on the tools used and the deliverables. Data Types and File Types are different and need to be treated differently. For instance, Shape Files [.shp] are related to cartography and map-making, while GPS eXchange Format [.gpx] files are XML files of GPS tracks, Both can be used in map making and both can enhance other files but they are different file types (by virtue of their extensions) and they are generally lumped together as being the same data type. i.e. one does not contain audio or image data. Keeping in mind the three things form, function and organization, (from the users’ perspective) which are mentioned above brings us to a point where we can discuss the file types and the data types of the project and how they need to interrelate. That is, what are the elements of an effective and efficient file management strategy? Spreadsheet: [.xls] , [.xlsx] Shape files: [.shp], group of 4 files. We use word processors to handle data and analysis. We use Databases like Drupal! We also have Task Types: Elicitation in writing, oral elicitation, Video events, analysis, publication, Sharing, collaboration, note taking, publicity, engagement of the community, collect, annotate, archive, produce community products, Implementation of the Plan. Enter the Research framework: which says, if we are going to do ‘xyz’ then we need to do ‘abc’ in this method and consider these ‘def’ variables and values. The place of the Data Model. How things are related from a research perspective. Things that the file management needs to accomplish. collect the metadata about the files from the researcher as is established in the plan. Suggest related metadata which is already in the system based on input in the upload process. Why it is like that? Biblio – PubMed Adds PubMed import and search to the Biblio module. Bitcache Provides a distributed, content-addressable repository for data storage. Content Allows administrators to define new content types. Content Copy Enables ability to import/export field definitions. Content Multigroup Combine multiple CCK fields into repeating field collections that work in unison. Content Permissions Set field-level permissions for CCK fields. Fieldgroup Create display groups for CCK fields. Node Reference Defines a field type for referencing one node from another. Number Defines numeric field types. Option Widgets Defines selection, check box and radio button widgets for text and numeric fields. Text Defines simple text field types. User Reference Defines a field type for referencing a user from a node. DAV file system Provides WebDAV access to an administrator-specified file system directory on the server. Drag'n'Drop Uploads Adds Drag’n’Drop file upload functonality. Inline Msg Move validation messages above the form elements. External RDF Vocabulary Importer Allows to import external Vocabularies in order to map them to Drupal data objects. Evoc Reference Defines a field type for referencing an RDF class or property from a node. Author Facet Provides a facet for content authors. Content Type Facet Provides a facet for content types. Date Authored Facet Provides a facet for searching content by date of creation. Date Facets Format Provides formatting options for date-based facets. Faceted Search API for performing faceted searches. Faceted Search UI User interface for searching and browsing through multiple facets. Faceted Search Views Allows to use Views to display Faceted Search results. CCK Field Indexer Allows the indexing of CCK fields into the search index. Field Indexer Provides a configuration page and an API for indexing fields into the search index. Node Field Indexer Allows the indexing of core node data into the search index. FileField Paths Adds improved Token based file sorting and renaming functionalities. Attachments Allows attaching files to nodes and comments. Browser Provides a file browser for file nodes organized in a hierarchical taxonomy tree. CCK Integrates file operations with the CCK module. Converters Allows files to be converted from one MIME content type into another as needed. Embed Provides an input filter for embedding file into other content. Gallery Provides a taxonomy-based gallery view of various file types. Restrictions Controls which restrictions should be applied on the uploaded files. 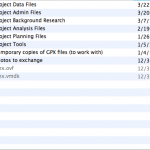 Views Integrates file operations with the Views module. File Allows uploading files as a standalone content type and provides a comprehensive file management framework. Audio files Supports audio file formats. Documents Supports document file formats. Images Supports image file formats. 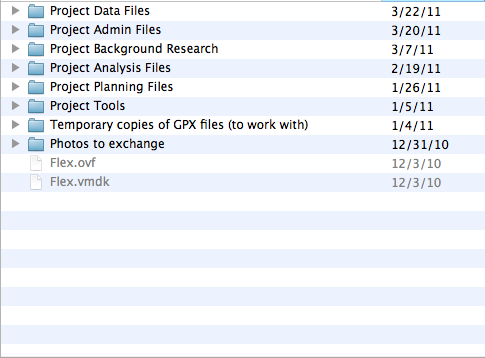 Spreadsheets Supports spreadsheet file formats. Texts Supports text file formats. File relations server Provides WebDAV access to nodes with attached and related files by group, group taxonomy, node type, and file type. File Import Allows batches of files to be imported from a directory on the server. Format Number API This module provides a method to configure number formats (site default and user defined) with configurable decimal point and thousand separators. It also exposes several functions that can be used by other contributed or custom modules to display numbers accordingly. Geo Provides a storage engine and API for Geospatial data. Geo Field Provides a CCK field for Geospatial data. Geo UI An interface for working with geospatial data. Location CCK Defines a Location field type. Location The location module allows you to associate a geographic location with content and users. Users can do proximity searches by postal code. This is useful for organizing communities that have a geographic presence. Organic groups Enable users to create and manage groups. OG Views integration module is recommended for best experience. QueryPath for Arrays A QueryPath implementation that operates on arrays. QPCache An XML caching layer for QueryPath or other tools. QueryPath QueryPath is a developer tool for working with HTML and XML. QueryPath Examples View and run some examples of QueryPath. RDF Enables the use of Resource Description Framework (RDF) metadata. RDF CCK Allows to define mappings between CCK fields and RDF and export nodes as RDF. Relations API Provides an API for arbitrary node relationships based on RDF. Schema The Schema module provides functionality built on the Schema API. Sheetnode Google Spreadsheets Provides Google Spreadsheets import/export support for Sheetnode. Sheetnode HTML Provides HTML TABLE import/export support for Sheetnode. Sheetnode PHPExcel Provides PHPExcel integration with Sheetnode. Sheetnode Text Provides text table import/export support for Sheetnode. Sheetnode Spreadsheet node using SocialCalc. SPARQL API Enables the use of SPARQL queries with the RDF API. Taxonomy CSV import/export Export and import complete taxonomies, hierarchical structure or simple lists of terms and properties to or from a CSV file, url or text. Token Provides a shared API for replacement of textual placeholders with actual data. TokenSTARTER Provides additional tokens and a base on which to build your own tokens. Token actions Provides enhanced versions of core Drupal actions using the Token module. Upload path Organize uploaded files according to admin-specified rules. Upload preview Adds image preview thumbnails to the file attachment section. Used modules Displays as a table, within a block or a page, all the modules installed on a Drupal site. Views Create customized lists and queries from your database. Views exporter Allows exporting multiple views at once. Views UI Administrative interface to views. Without this module, you cannot create or edit your views. Webform Enables the creation of forms and questionnaires. This entry was posted in CMS, Digital Archival, Geo-Tagging, Language Documentation, Linguistics, Meta-data, Opensource, Web Server and tagged CMS, Drupal, file management, Language Documentation, Linguistics, opendraft, UI, UX by Hugh Paterson III. Bookmark the permalink.